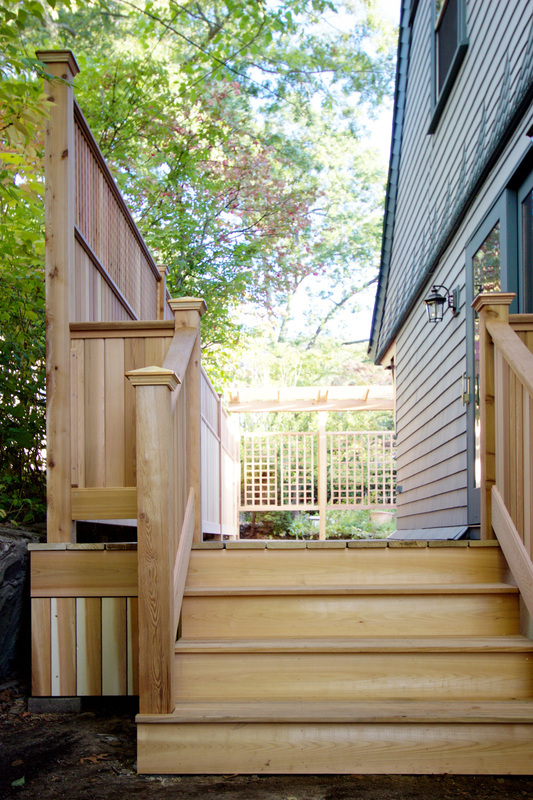 Formerly enclosed by dark stained fencing, this dilapidated deck was in desperate need of a facelift. 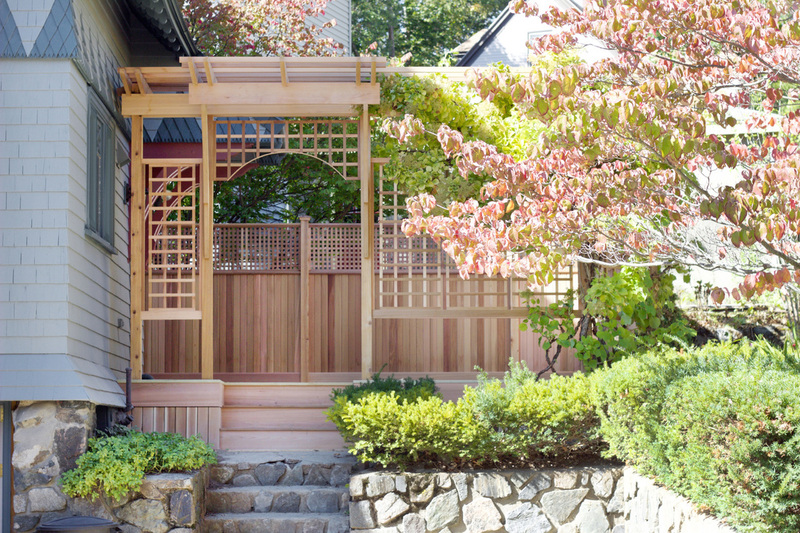 Natural red cedar left to weather will take on grey tones to complement cool palette of the house and stone foundation. 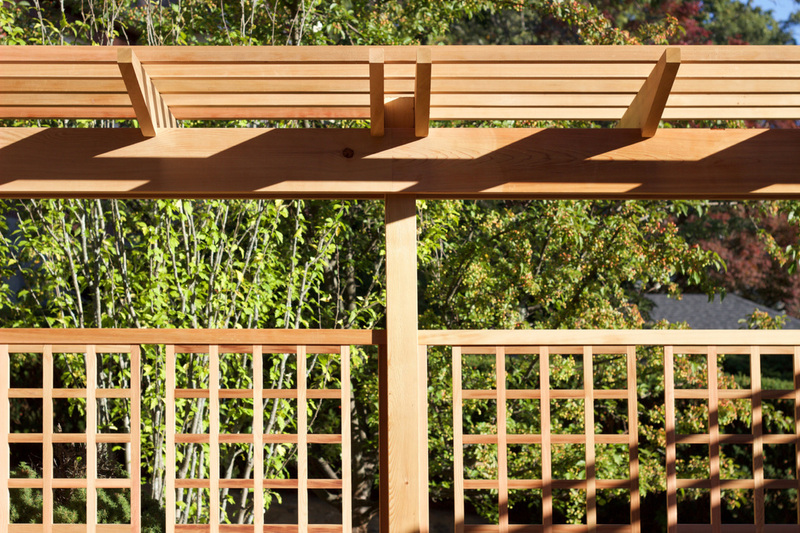 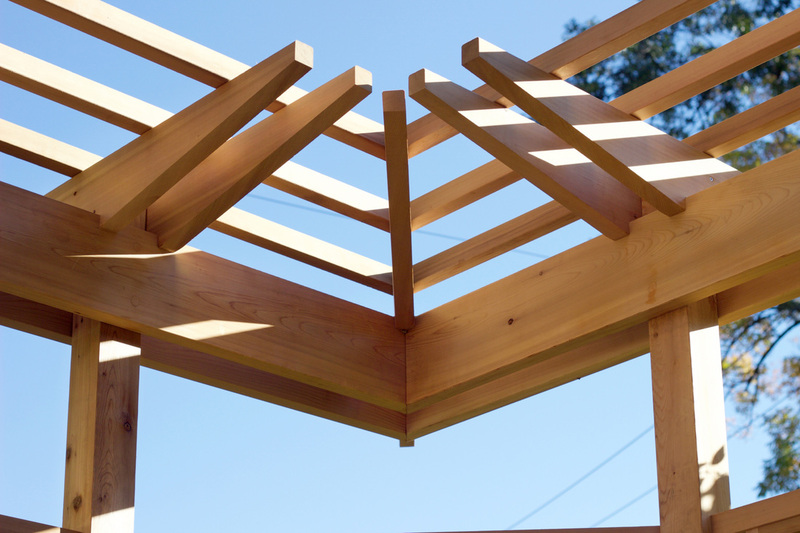 A pergola perimeter and panels of open trellis provide necessary shading and growing space for flowering vines. 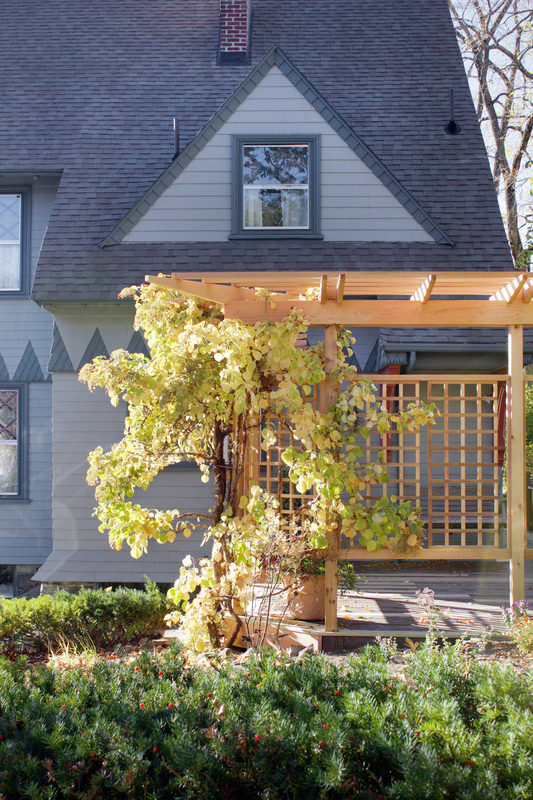 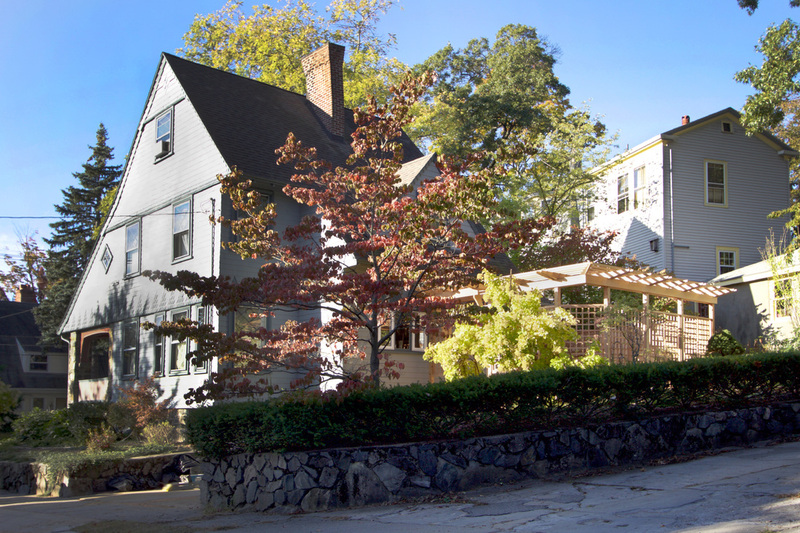 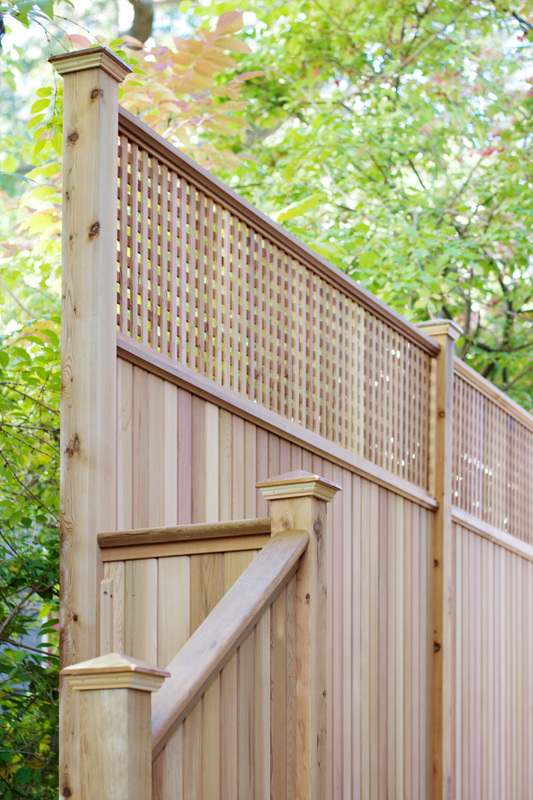 Privacy fencing boarders the neighboring property, while new stairs increase accessibility to the surrounding yard.